Welcome to the Studies in the History of English Language (SHEL) 10 homepage! 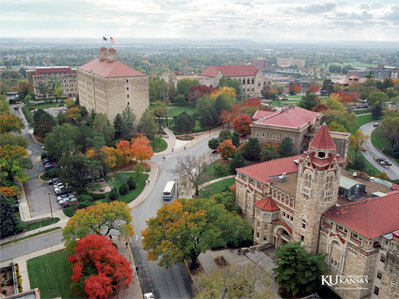 SHEL 10 will be hosted by the English Department at the University of Kansas on June 2-4, 2017. This 10th anniversary conference in the SHEL series seeks to allow scholars to explore long-standing and emerging questions in the study of the history of the English language (HEL) and English historical linguistics. The conference is open to all linguistic approaches and methodological perspectives, and welcomes presentations on all varieties and periods of the English language (including very recent times). In addition to serving as a forum for scholars to exchange research findings, the KU conference will also feature a workshop on teaching HEL and a panel on the future of HEL as an academic discipline in North America. It will therefore also be of interest to teachers of HEL looking to enhance their teaching methods and their understanding of HEL as a field. SHEL 10 at KU follows on successful meetings at UCLA (2000), the University of Washington (2002), the University of Michigan (2004), the University of Northern Arizona (2006), the University of Georgia (2007), at Banff, Alberta (hosted by the Universities of Calgary and British Columbia; 2009), Indiana University (2012), Brigham Young University (2013), and University of British Columbia (2015). The North American SHEL series complements the biennial International Conference of English Historical Linguistics (ICEHL) hosted by European institutions. Like its European counterpart, SHEL is not sponsored by a particular organization and is not committed to a particular framework or approach to the study of HEL. We look forward to welcoming you to KU in June 2017!